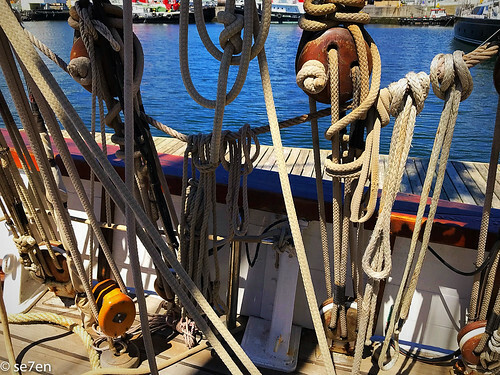 And as you know, anything to do with ships and shipping and the ocean and science… we are all about that. 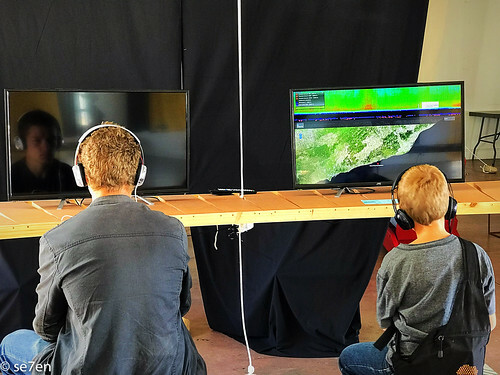 It was a fascinating visit and certainly inspired my kids to think about projects that they want to learn more about over the next year. 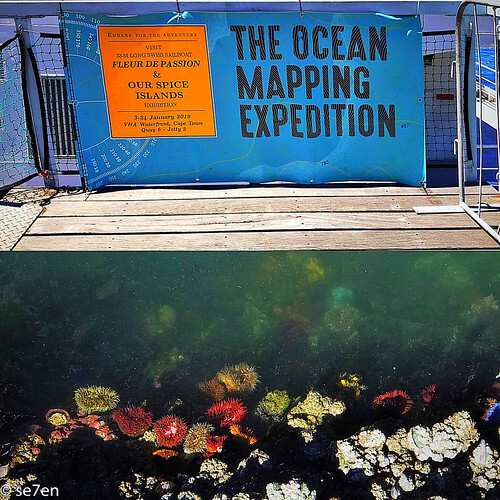 Here are the details that you need, to follow The Ocean Mapping Expedition as they the adventure around the world. 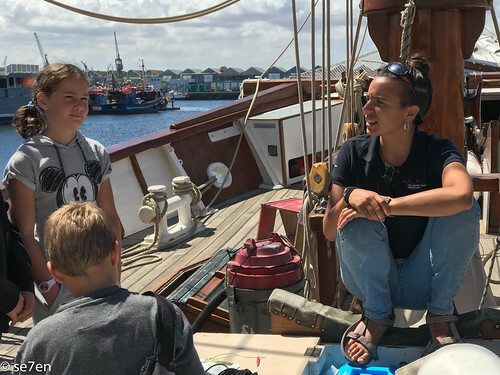 This team of scientists and artists are following the path of Ferdinand de Magellan five hundred hundred years after the great explorer. 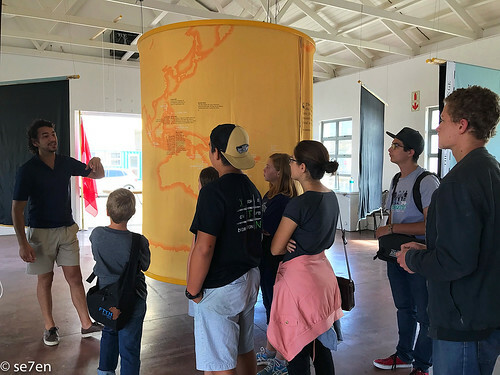 The purpose of the expedition is to take “a virtual snap shot” or to map the ocean using pollution markers: Air pollution, Sound pollution, Plastic pollution and so on… and all the while they have a series of visiting artists on board the ship who are documenting their travels as they go. 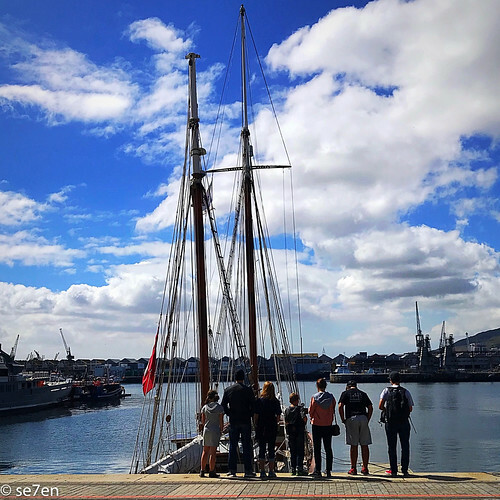 Let’s meet the vessel, a Swiss owned 33-metre-long ketch, that began life as a mine sweeper during the Second World War and has been refurbished and converted into a scientific sailing ship. 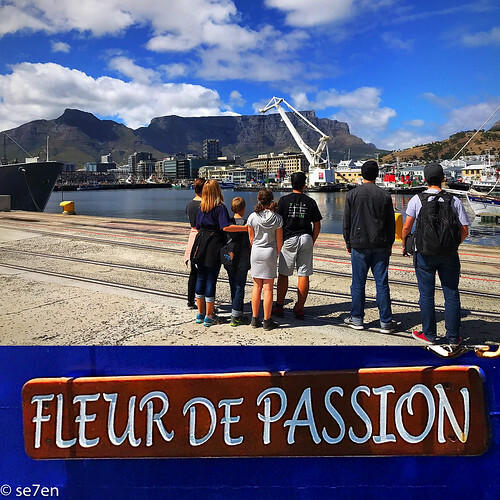 And now the vessel is on a four year adventure… inspired by Magellan and Scientific discovery… it is more than a little bit cool. We were interested to learn more about their projects. 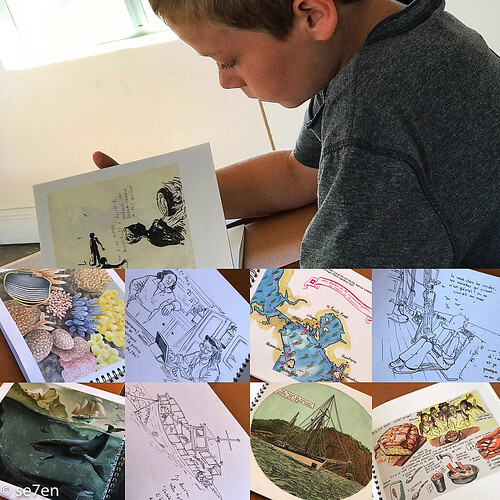 And then we had a close look at the journals and illustrations from the traveling artists… in the part of their project called: In Magellan’s Mirror. 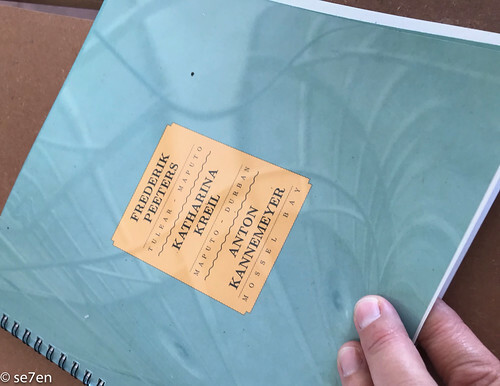 For this part of the project they are just using the technology that Magellan would have had… no cell phones, or cameras… just a journal and artwork. 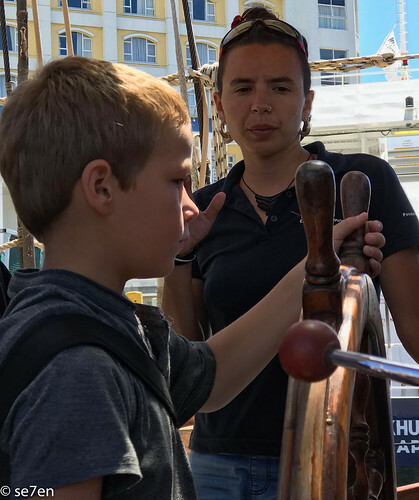 Who was excellent at asking thought provoking questions, the kids loved her, she was so great at getting them interested and chatting about the work that she does on board. Micro Plastic Pollution is a global problem that we have become all too aware of in our local beach cleanup projects. This scientific project called Micromégas, was inspired by Voltaiere’s tale, and represents micro-wastes, this are mega-issues. 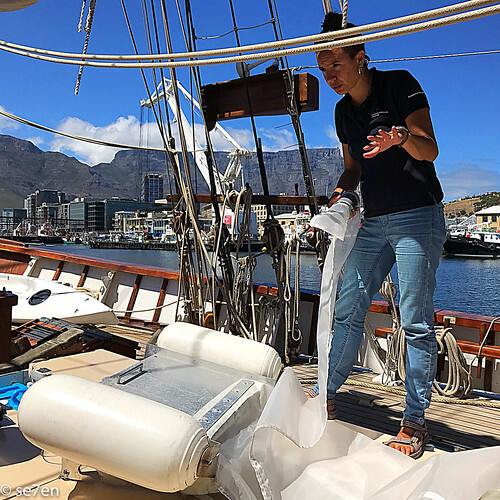 This voyage provides the scientists on board a great opportunity to take samples form the Pacific, Indian and Atlantic Oceans. 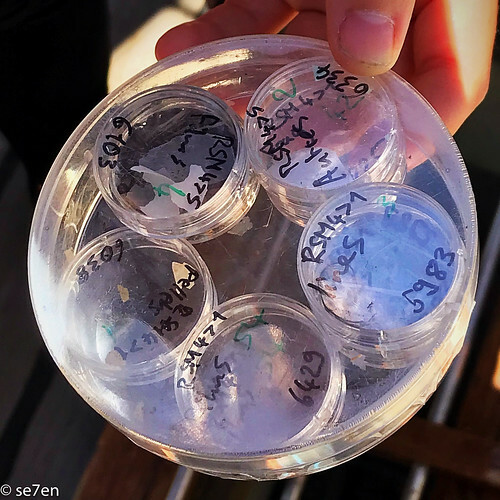 They will be able to determine micro-plastic levels throughout the ocean and evaluate plastic pollution as it stands right now, not only that they will be able to present their findings to the public and raise awareness of this global problem. Perhaps scientific observations, and graphic illustrations will help to raise awareness of this problem. 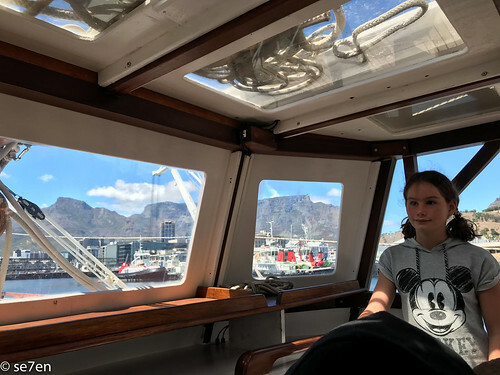 In this day and age there is so much noise under the sea, and this exciting acoustic study, called 20,000 Sounds under the Seas, really sparked our interest. 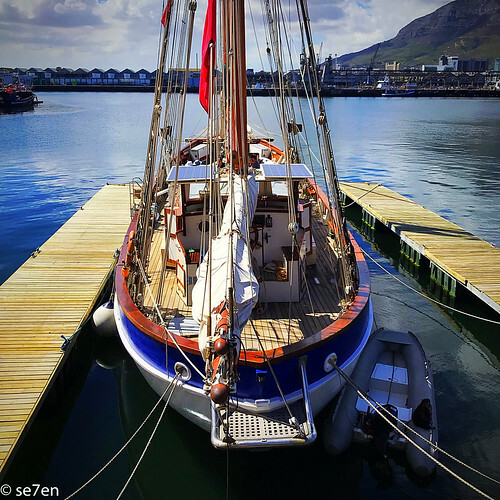 If you click through to their website you will be able to listen to all sorts of underwater sounds some of them are natural and other sounds are man made: dolphins, whales and a number of different types of vessel. It certainly makes for interesting listening. 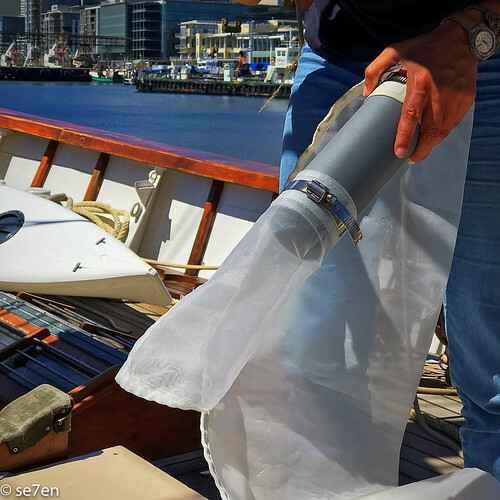 These underwater sounds are relayed back to laboratories, and can be listened to by the public. 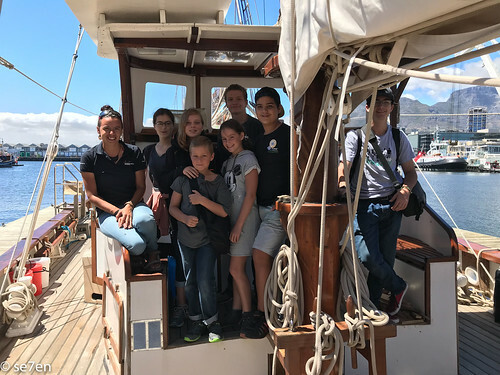 It is the hope that this project will raise awareness of sound pollution and promote responsible behaviour for those folk making use the oceans. 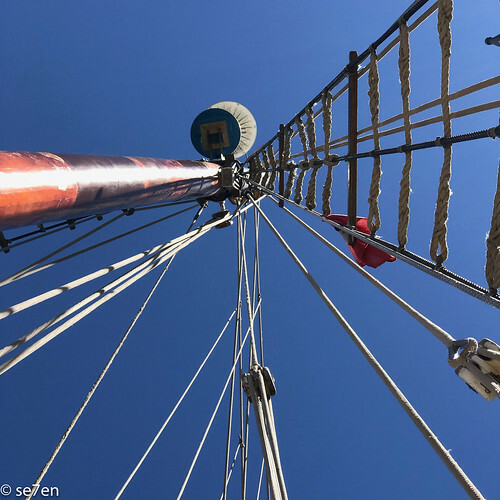 The Winds of Change Project is a scientific study that collects data from filters on vessel’s the mast… measuring and then mapping the greenhouse gases (carbon dioxide and methane) close to the surface of the oceans as they voyage along. 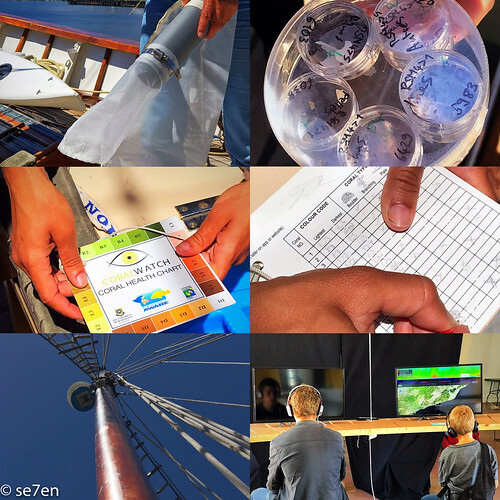 The purpose of this experiment to to determine the role of the ocean with regard to climate change and the carbon cycle. 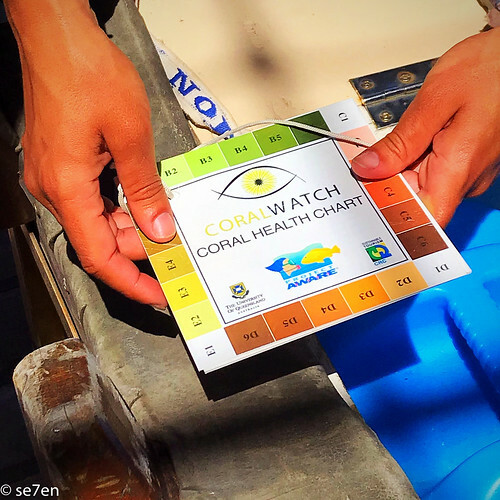 Coral Watch is a citizen science project, observing the health of coral reefs all over the world. Coral bleaching is a global phenomena caused by global warming and is the demise of ocean habitats around the world. 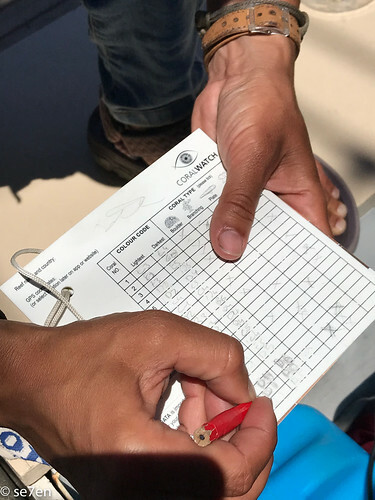 Divers from the expedition compare the colours on a water protected card to the coral reef, which they record on data cards. The darker the colour of the card the healthier the reef, the lighter the colour, the more the reef is experiencing bleaching. The bleaching occurs when the ocean temperature increases and the stressed corals, which are small animals in the polyp family, excrete their micro-algae, these micro-algae provide them with not only their pretty colours, but their nutrients, which in turn provide their exoskeleton, which forms the hard eco-skeleton reef. 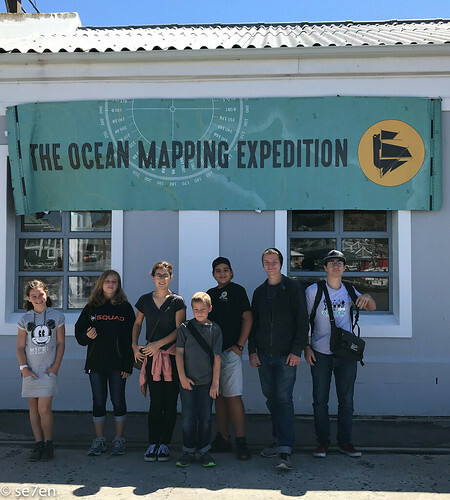 Click on the link to learn more about the adventures of the Ocean Mapping Expedition, and click on the photograph below to see photographs from our visit.